Good news for anyone who’s been dreaming of a slightly smaller Frappuccino: Starbucks is test marketing a new Mini Frappuccino served in 10-ounce cups. Next on your agenda, setting loftier dreams for yourself. The not-so-tall Frappuccino size is currently being test marketed in Houston and Denver, according to Starbucks Melody. The new product comes with an explanatory booklet, a big help for those who were never able to wrap their heads around Starbucks’ original tall, venti and grande sizing system. We kid. 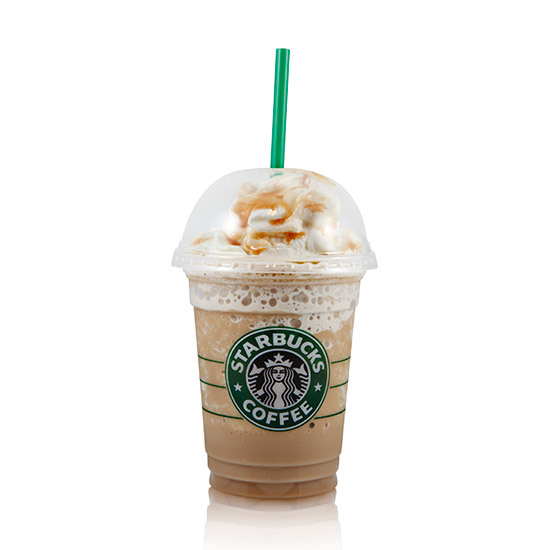 But a tall Caramel Frappuccino packs 300 calories, and in comparison, the mini version comes in at a mere 190 calories. A little basic math (calories divided by ounces) will tell you that beyond fewer ounces, this smaller size offering is less calorically dense. In fact, the calorie savings seem far more significant than the financial ones—dropping down to the mini saves you a miniscule 25 cents. Not that going to Starbucks has ever been the best choice for your diet or pocketbook, but patrons looking for a way to indulge without blowing up their iPhone’s calorie-counter app will probably appreciate a chance to keep their weight goals in sight. Either that or Starbuck just wants to get you hooked before yanking this promotional product and weaning you back onto that venti you know and love.